Why do people make so much fuss over cooking rice? Do not use quick cook or par-boiled rice - it tastes awful. 2 measures of rice to 3 measures water or stock. 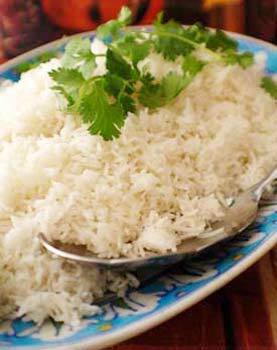 For brown or wholegrain rice use a ratio of 1 measures of rice to 2 of liquid. Use a heavy pan with a heavy lid. Cover and bring to a rapid boil. Do NOT remove lid until the rice has stood (This is the bit that everybody gets wrong); the rice cooks in the steam. Stand COVERED for at least 10 minutes. Fork to seperate the grains, add butter if required.